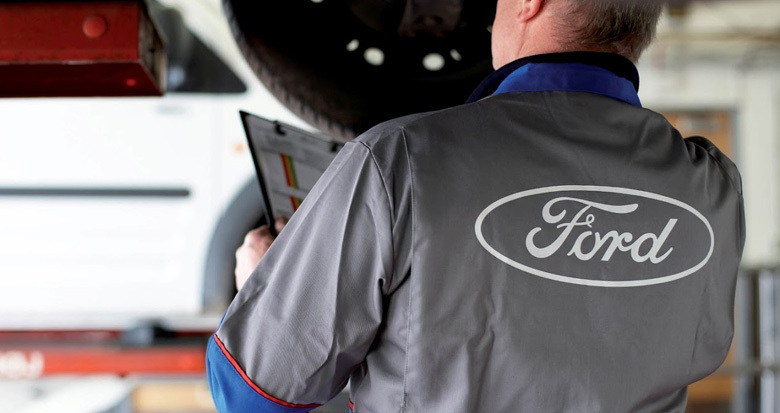 As our business has been rapidly growing, Uxbridge Ford is currently seeking . We offer competitive pay plans and a work environment that is second to none. Please contact sean.riley@uxbridgeford.com to schedule an interview, or fill out the form below. Would you like to take your career to the next level? Uxbridge Ford is looking to invest in you! Automotive Technicians are the heart of any service department. As an expert Automotive Technician you should be able to effectively and efficiently perform routine maintenance items, identify the cause of breakdowns and repair them using the most optimal solutions. Automotive Technicians in our service departments benefit from a safe environment in which to work in. The work is challenging but we offer extensive training and certifications to promote skill advancement. There are many benefits of being on our team: hands on experience, certifications in many different technical areas from one of the Country's largest national brands, and a team oriented work environment! Perform work specified on maintenance and repair orders with efficiency and in accordance with manufacturer guidelines *Diagnose and repair automotive systems including: engine, transmission, electrical, steering, suspension, braking, air conditioning, etc. * Provide labor and time estimates for additional automotive repairs *Explain mechanical diagnoses and required repairs in a non-technical manner to service advisors and customers* Continuously learn new technical information and techniques in order to stay abreast with rapidly changing technology* Inspect and test new vehicles and record findings so that necessary repairs can be made. Competitive Pay Plan *Paid vacation* Professional work environment. Join our team as an automotive technician - apply today! Minimum of 1 year of experience as an automotive technician/automotive apprentice. Certifications are a plus but not required. Hold a valid driver’s license. Must have own tools. Team oriented, flexible and focused on maintaining a high level of customer service. We are a VERY HIGH VOLUME full Line Ford, Lincoln and SVT dealer looking for sales people due to increased sales traffic. We offer an industry leading pay plan, including monthly, quarterly and annual bonuses that are attainable with great inventory to sell from, we carry 100+ Used vehicles and 250+ New. We have too many leads, sales calls and walk-ins for our current team to handle. If you are a driven sales person, with AUTOMOTIVE SALES EXPERIENCE, and are looking for a great working environment, and have a desire to make an above average income, we may be the right fit for you. As a family owned business you are not a just a number here. We offer the best, and are looking for quality candidates. Please forward your resume by email only. As an equal opportunity employer we appreciate all who apply, but we will contact only those we are interested in for an interview. Valid OMVIC license and clean drivers abstract required. Apply today to join our team as a Sales and Leasing Consultant!